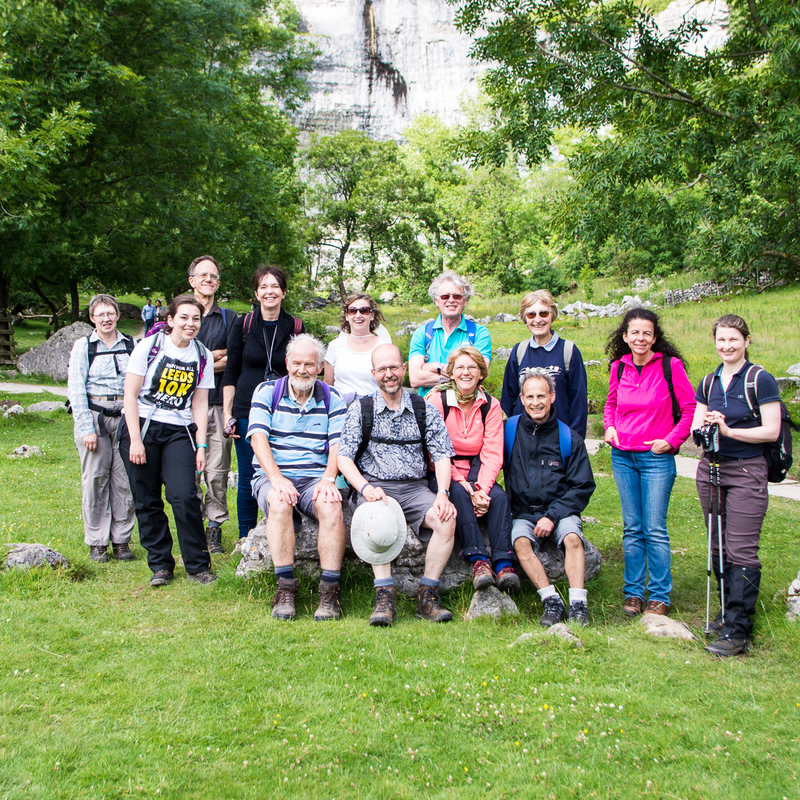 This year’s summer walk was led by Peter Cummings and started in his home village of Malham. A total of 16 linguists, partners and friends took on the 6.5 mile walk around a beautiful section of the Yorkshire countryside. We met at The Buck Inn at 10:45 and I immediately regretted packing my heavy waterproof jacket and not my suncream and sunglasses. The walk began with a flat, clearly-marked path towards Janet’s Foss, a lovely waterfall around 20 minutes’ walk outside Malham. 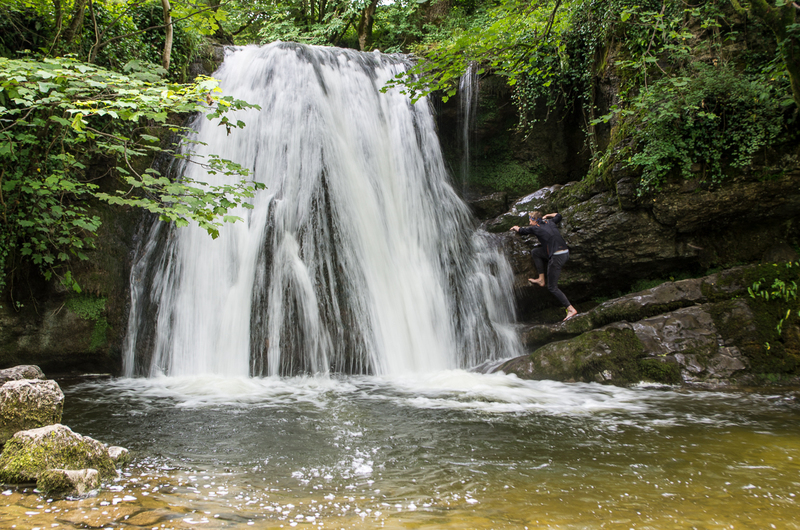 Around 5 minutes from the waterfall the narrow path began to resemble the Leeds ring road on a busy day – a tiny dormouse had created a tailback of around 30 walkers who had stopped to watch him washing and eating. 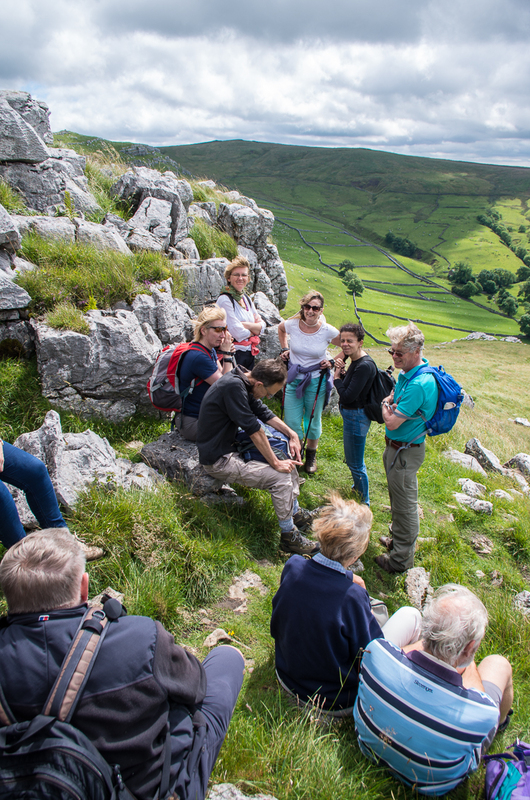 At Janet’s Foss, a few walkers turned off to take a flat route back to Malham and the rest of us went up a very steep hill which led us to a breathtaking view of Goredale Scar. There were a few sighs of relief when we learned that the rest of the route would be flat or downhill. We stopped for lunch next to Malham Tarn and found a wall to park ourselves next to so we could shelter from the strong wind. At this point, I was glad to have brought a second layer and my big coat – the great British summer, eh? 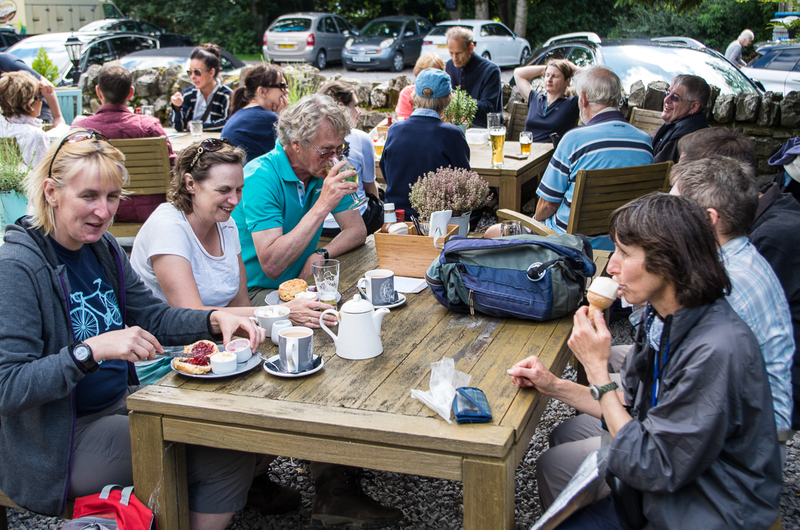 We’d lost a couple of speedy walkers who had gone on ahead, but they turned up just in time to get going after lunch, having found a spot by the tarn to eat their sandwiches. 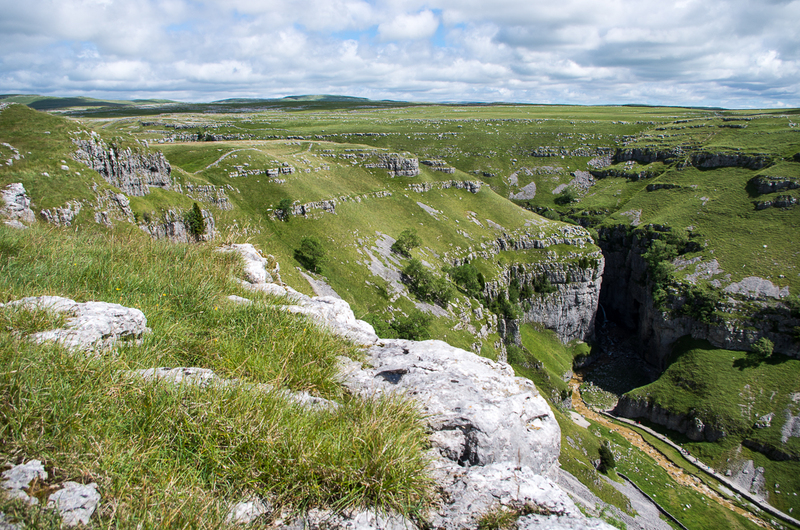 The last leg of the walk took us to the top of Malham Cove and some fantastic limestone pavement that, according to some nearby children, resembled giants’ and dinosaurs’ feet. 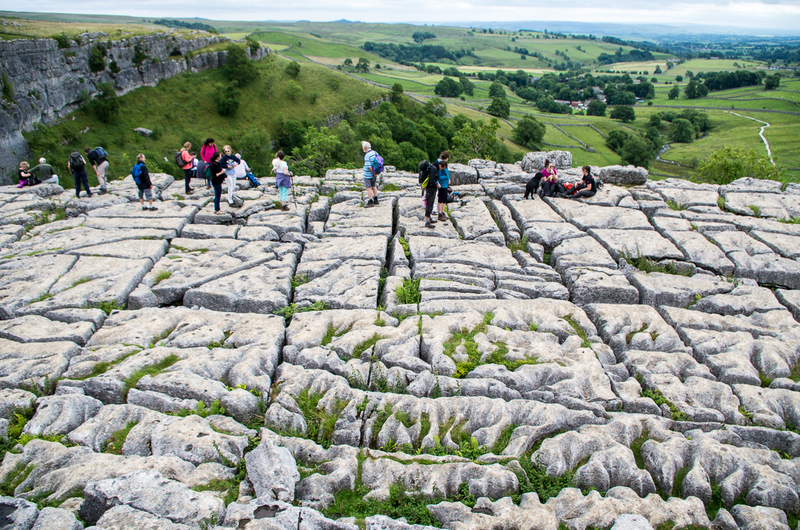 After hopping between the great rocks and taking in the spectacular view of the cove from above, we descended the steps (526, as counted by a rather tired little girl at the bottom) and headed back to Malham village for a drink in the sun at The Lister Arms. Thanks to Peter for leading the walk and keeping the rain away.